3 has pretty good coverage unless you are Welsh, Scottish or live up North. This may look like it has some alarming gaps, but this does actually look like the best of the bunch. 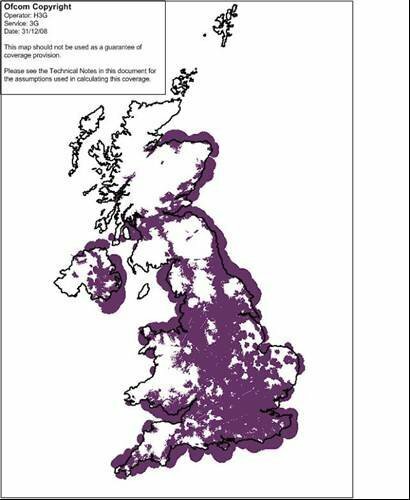 Ofcom have capitulated to critics and published maps of providers coverage for their 3G products. Whilst not meant to be completely accurate, it should be taken as a truer picture than anything we have seen previously regarding coverage, and this could be quite an eye opener for you and your contract mobile.